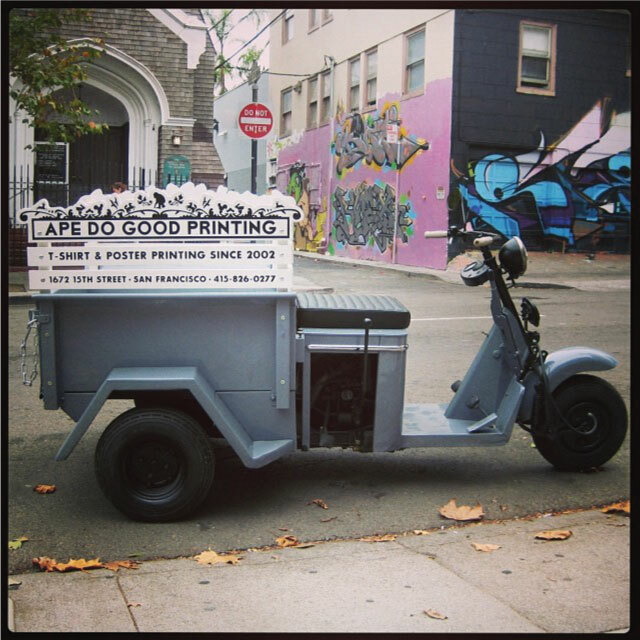 Ape Do Good Printing specializes in screen printing tshirts, sweatshirts, and most other garments as well as paper and flatstock printing. We are located in heart of the San Francisco’s Soma District. We are also wholesalers and can supply you with American Apparel, Alternative Apparel, Hanes, Fruit of the Loom, Gilden and pretty much every other brand under the sun. We offer up to 10 color automatic printing with hand printing available. Ape Do Good is run by artists reproducing your work. Let Ape Do Good for you. Our general turnaround time is 5-10 business days, beginning upon receipt of your final artwork files, garment order, and 50% deposit (payable by Visa/Mastercard/AMEX, check, or cash). We do offer rush turnaround for additional fees. Be sure to let us know if you have a specific deadline and we will quote you accordingly. Payment is due upon receipt. Please note that the agreed upon due date means EOD 5pm on said date. We print each job in the order that they arrive. We can potentially rush your Job if needed, but that will incur a fee. The severity of the rush reflects the severity of the fee. Do you have a price list that you could send us? Sorry, not at this time. However, we are able to give you quote for anything you need by email or over the phone. Can you guys Print just one shirt for me? Unfortunately, we have a minimum of 24 pieces per design. For each color in your design, you need one film positive ($20) and one silkscreen screen ($20). Custom Pantone Inks can be made on request for $25 per color. Waterbased Pigments made the day of printing are $30 per color. Are there any price breaks if I order a larger quantity? In the event of a misprint what are your procedures? Will you burn a screen for me for my personal use? Yes! We can sell you a screen, make your film, and burn it for $50. If you provide your own screen, the cost is $40-film is $20 and the screen burn is $20. Screen size is 20" by 24", while our film print size is 12" by 17". We'll just need a high resolution design file from you as well as deposit to make it happen! Is it possible to take a look at the design before it is printed? Yes, it is possible. We charge a $75 Press Check Fee, which applies to each design that you would like to preview. If you would like to set up a Press Check, let us know and we will set up a time to have you come in. Your design will be setup and printed while you wait. Any changes to the design while it is on the press will incur additional costs. There is a late fee of $50 per 30 mins. Once the design is approved, we print the entire job at that time. See our Press Check form for more details. Can you print a photo on a tshirt for me? We print strictly spot-color here, which means that each color in your artwork will receive its own screen and be applied separately. This makes photo-realistic images more time consuming and less accurate. We ideally prefer photographic images that have been transformed into half-tone/bit mapped artwork. Do you provide the garments, or should I provide my own? We work with several wholesale distributors to source garments at their best available price (See Catalogs). It is advantageous and cost effective to let us help you source your garments, however, you are more than welcome to provide your own. In the case that you have sourced and provided your own garments, we will not replace them for any reason, and will only deduct the printing from the final balance. Yes. We can ship garments via FedEx or UPS - our account or yours. If you’re near by, we can have them couriered to you. Both Services incur additional fees. Can I print over seams, hems, pockets or across zippers? No. We ask for .25-1” clearance from all seams to avoid uncontrollable results. Can I print on ribbed garments? Do you do “all over” printing? No. Our maximum print size is 12” x 17”. What is your maximum print area? 12” wide by 17” high for garments. Can I have different shirt colors in my order? Yes. However, before ordering different colored shirts, make sure the artwork looks acceptable to you or your design team. Can I change ink colors? Yes, but we have a minimum of 24 pieces per ink change. Each ink change will incur an additional charge of $20. What are your paper printing minimums? What is the maximum paper size that you can print? Yes, but a couple things to keep in mind. We will need at least 10-15% extra for testing and setting up. Also, Ape Do Good will not be responsible for varying results from using different papers, different colors of paper, and different weights of paper. Will you print my business cards? Hand printing business cards has a certain look that we really love, but it is expensive compared to online printers that gang print dozens of designs at the same time. Can you print my company's logo on these- buckets, coffee mugs, sticky notes, baseball caps, etc? The short answer is that we can only print on items that are flat. If you have a project that is out of the norm, We would suggest bringing it in for us to look at and even test. If we can not print on it, we may be able to suggest solution. You have to be at least 18 years old. We have serious equipment that requires a certain amount of maturity. You have to commit to one full day a week. You have to commit to that same day for at least 3 months. If you miss twice without prior notice you’re out. You can’t listen to any Top 40, American Idol, Britney Spears type she-ite music. We accept artwork files from Adobe Illustrator (.ai or .eps format) and Adobe Photoshop (.psd or .tiff format). For Illustrator users, please make sure that the type is Created to Outline and sized accordingly. For Photoshop users, please make sure that the file is at least 300dpi at the final printing size. Sorry — we do not accept files created in Microsoft Word, Microsoft Excel or Microsoft PowerPoint. We are unable to create separations from any files created with these programs. Spelling, punctuation, incorrect dates, grammatical errors, or any other client mistakes. Design errors or color selection errors in client artwork. Inferior quality or low-resolution of client images/artwork. Artwork that is incorrectly sized, oriented or placed (To prevent these issues, we encourage you to use our templates). Damage to the product after delivery to client. All colors default to our free stock colors, unless you specify a (paid) color match. We will reproduce color from your print-ready files as closely as possible, but we cannot match color 100% unless you choose a specific Pantone Match (solid coated color book, $25/color). We encourage you to visit our shop to look through our color books, and please note that we refer to Pantone Solid Coated. We only recommend discharge printing on 100% cotton garments. We are happy to print on other materials, but please be aware that color opacity and saturation will decrease according to the garment’s cotton fiber content. Instead of print proofs or samples, we offer press checks ($75 fee) to our clients, which take place when we have your job at press, and requires you or your rep to visit our shop and give final approval before we proceed. Changes to the design at this late stage may incur additional costs (films/screens etc.). And please be on time as we charge a late fee of $50 per half-hour. The person attending the press check must have full authority to approve the final print. Upon request, we will provide a digital mockup ($25) to ensure placement accuracy. Our general turnaround time is 5-10 business days, beginning upon receipt of your final artwork files, garment order, and 50% deposit (payable by Visa/Mastercard/AMEX, check, or cash). We do offer rush turnaround for additional fees. Be sure to let us know if you have a specific deadline and we will quote you accordingly. Payment is due upon receipt. Please note that the agreed upon due date means EOD on said date. We are committed to quality and stand behind our printing and services. If you are not completely satisfied with our product, please let us know immediately as we have a 7-day return/reprint policy. We reserve the right to require you to return the original order before we begin discussion about refunds or reprints. 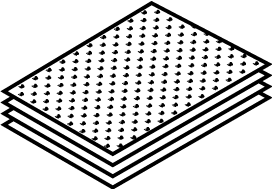 PLEASE NOTE THAT THE HEAT AND PRESSURE OF THE PRINTING PROCESS MAY RESULT IN A SLIGHT IMPRESSION ON THE GARMENT, which will disappear upon first washing. Please note that regardless of the care we give your print project, manufacturer’s defects and/or misprints can occur. When this happens, shortages will be seen in your order. Please keep this in mind when ordering final numbers. Our policy for resolving shortages under 12 pieces is with a refund of those missing pieces with no reprinting of said missing pieces. Resolution for shortages over 12 pieces may involve a refund or a reprint to be decided on a case by case basis. You are welcome to provide your own garments, but if there are any misprints, we cannot replace them. 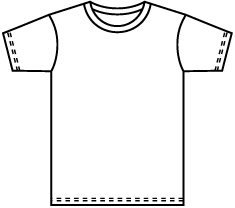 Our policy is to deduct all printing fees from any misprinted garments. Ape Do Good is not responsible for differences in manufacturer’s garment sizing or fabric differences. Please note garment manufactories sometimes ship defective shirts. When this occurs, we will pull the garment from your order and your order will ship short. You will not be charged for defective goods. RESALE PERMIT Sales Tax can be waived by submitting your Seller’s Permit number via email. RESTOCKING FEE Orders cancelled or altered for any reason before print application will be charged a 15% restocking fee. HANDLING FEE Any excessive handling of garments due to packaging, wrapping, or flipping will incur additional charges to be determined by labor requirement. Thank YOU for letting Ape Do Good do good for you!